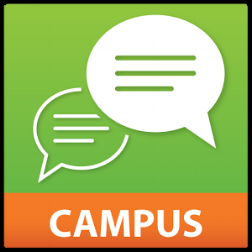 Click the below button to access Campus Portal. For technical assistance, contact one our schools Portal Liaisons during school hours. Our Liaisons are Mary Jean in the office and Elvira in the counselor's office. 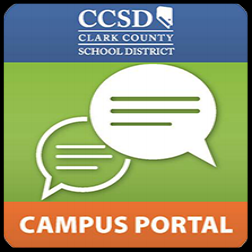 You may also email portalsupport@interact.ccsd.net, or call the Portal Help Desk at 702-799-PORT (702-799-7678), Monday-Friday between the hours of 6:00 AM-6:00 PM. This app provides a fast and convenient way for parents and students to check grades, assignments, schedule, attendance and daily planner information on their iOS or Android device. The app is available to our parents and students at no cost and can be downloaded directly form the Google Play Store or iTunes.